In the aftermath of what’s happened in Japan, we understand you’re asking about how U.S. nuclear plants are prepared for these sorts of events. Our technical experts in seismic events have taken time from their response efforts to answer almost two dozen of your most frequent questions. We’ve posted that information on the NRC website here: http://www.nrc.gov/japan/faqs-related-to-japan.pdf . We’re working to keep that list as current as possible. The bottom line remains the same – U.S. reactors are designed to safely ride out the strongest earthquakes at their sites, based on scientific review of at least 10,000 years of the geologic record at every site. Reactors on coastal sites are designed to withstand tsunami, hurricane storm surges and other flooding. We’ve gotten some questions about how U.S. nuclear power plants would fare when faced with severe natural hazards. To answer: NRC’s rigorous safety regulations ensure that U.S. nuclear facilities are designed to withstand tsunamis, earthquakes and other hazards. In addition to those plants in recognized earthquake zones, the NRC has been working with several agencies to assess recent seismic research for the central and eastern part of the country. That work continues to indicate U.S. plants will remain safe. Licensee Event Reports – LERs – for nuclear power plants licensed by NRC can now be easily searched through Data.gov. NRC has required nuclear power plants to submit LERs since 1980, and about 52,000 of these reports have been submitted since then. In addition to finding them on the NRC website, you can now search for these reports based on a variety of criteria including date of occurrence, nuclear power plant name, plant operating mode, reactor type, regional location and keywords. 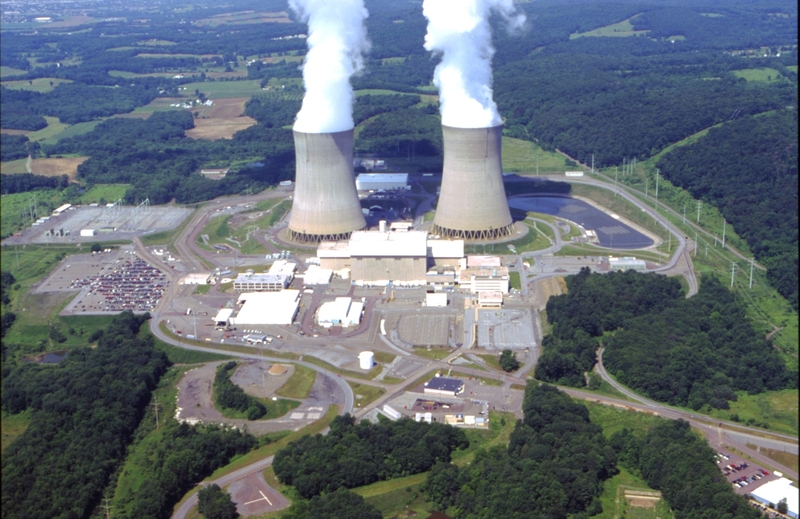 Licensees are required to submit these event reports to the NRC when conditions occur in a nuclear power plant that are beyond its technical specifications (i.e., those conditions approved for the plant to operate). For example, if a required safety barrier was discovered to not function properly, this would trigger the need for an LER. A complete description of LER reportable events can be found in 10 CFR 50.73 at: http://www.nrc.gov/reading-rm/doc-collections/cfr/part050/part050-0073.html. Once an LER is submitted, NRC staff review it to understand and confirm the licensee’s assessment of the situation. NRC staff experts also determine whether the licensee’s resolution of the issue continues to maintain adequate levels of safety and protection of the public. Data.gov is a website initiated as part of the White House’s Open Government initiative. It helps give the public greater access to data generated by the federal government. Hosted by the General Services Administration, Data.gov is a repository of government data that ranges from crime statistics by neighborhood to the best towns in which to find a job. 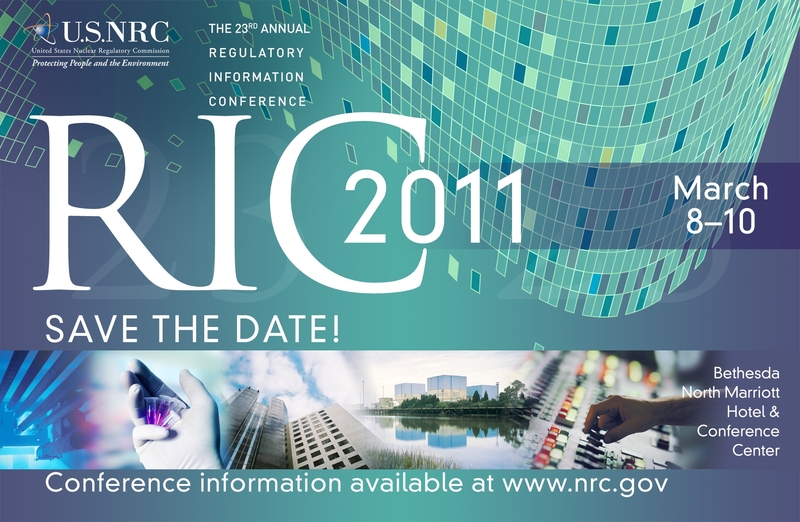 The NRC’s annual Regulatory Information Conference, known as the RIC, is coming up on March 8-10. This important conference is co-sponsored by the two NRC offices responsible for regulating nuclear reactors and overseeing research activities. The conference provides a great opportunity for the NRC to discuss and share information on our regulatory, research and other activities in an informal environment. The RIC is the largest regulatory conference of its kind attracting participants from around the globe. This year we expect more than 3,000 attendees from as many as 30 countries. This is our 23rd RIC and although some things are predictable, every conference is slightly different. This year we have 42 technical sessions and 29 technical poster and tabletop presentations that cover a wide range of topics related to operating reactors, new and advanced reactors, fuel cycle facilities, nuclear security, safety research, and safety culture. Even at the NRC, not everyone realizes how early planning begins. More than 400 people are involved in making the RIC a success each year. Staff dedicated to the RIC start planning the next year’s conference the minute the last one ends. The NRC dedicates a lot of time and attention to this conference because it presents an invaluable opportunity to learn and share information and work together to ensure safe and secure regulation in the nuclear industry. The conference is free and open to the public but you must register! Online registration is available on the RIC website until Feb 22. On-site registration will be available on March 7 from 4:00 p.m. to 6:00 p.m. at the Registration Service Desk on the hotel’s lower level. The Registration Service Desk also opens on Tuesday and Wednesday at 7:00 a.m. and Thursday at 7:30 a.m. Following the RIC you can access copies of presentations, speaker and panelist biographies, audio recordings of the technical sessions, and video copies of the plenary sessions through the NRC website.